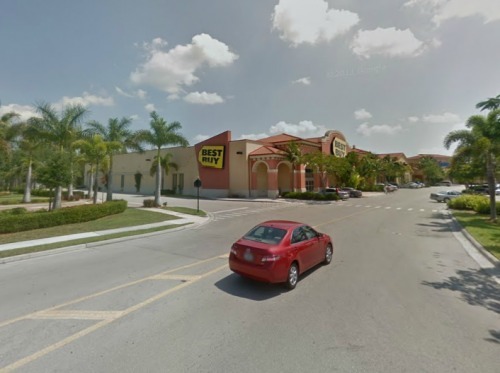 It took thieves just 60 seconds to steal $60,000 worth of iPads from Best Buy earlier today, reports naplesnews. Lee Sheriff's Office deputies responded to an alarm activation at Best Buy located in Coconut Point, 8000 Mediterranean Drive, Estero, just before 5 a.m. They found the rear door pried open and merchandise on the ground. The store's manager said an initial check showed a cage door pried open and 60 to 90 Apple iPads missing. The manager estimates the value to be about $60,000.00, according to reports. The three men broke into the store by prying open the back door. Dressed in dark clothing with their heads covered and wearing gloves, they quickly searched for the iPads, loaded them into a bin and left before police arrived.